Today, I am going to share a coupon code for Hoodie Lab here. Redeem it to buy graphic clothes at a discount price! Hoodie Lab is the designer and manufacturer of an all over print hoodie, shirt and more. Each and every hoodie are made up by skilled designer with flawless graphic. They uses premium quality fabric that is durable, strong and wrinkle-free. It was started with the mission to transform the vision of an artist into eye-catching graphic clothing. They not only sell the “ready to ship” items but also sell “made-to-order” items. Based on your order; you may get multiple shipments. All the products at Hoodie Lab are hand-crafted by artists. Apart from hoodies; you can also buy sweatshirts, t-shirts, tank tops and custom print accessories. The HoodieLab is not just another graphic print service; but It mainly focus on all over graphic prints. Furthermore; they try to focus on various themes such as space, forest, animals, foods, divine, games and more. Hence; you can always buy a hoodie that matches your interest. TWT10 (Ongoing Offer!) – Buy a handcrafted hoodie and apparel at 10% discount price. Please enter the code at the payment page to claim the deal. Clearance Sale – Who doesn’t like a sale? Here is an opportunity for you to grab awesome 40% discount on your next apparel order. It is valid for select item under sale section only. Free Shipping – Enjoy free standard shipping; when you purchase hoodie and other all-over-print products worth €70 or more. They charge an extra fee for priority delivery. In additional to that; the free shipping promotion is not valid for international orders. Save Upto 45% Off – Receive up to 45% off on select items. Choose from Fantasy, Galaxy and Game niche hoodie to save huge. It is time sensitive offer that you can find during Black Friday, Christmas, Memorial day and Cyber Monday only. Extra 10% Off – Follow the link to get an additional 10% off on your very first order! You just need to signup with your email address to unlock the discount. Unlike many other brands; The Hoodie Lab uses the designs that make you stand out from the crowd. It is Stockholm, Sweden based startup which was founded in 2017. They offer worldwide shipping from their Stockholm based warehouse. Their mission is to bring the traditional graphic tees to the next level. Each and every month; they launch new all-over-print hoodies for women and men. They manually inspect the quality of all the items to deliver you the best product at affordable price. 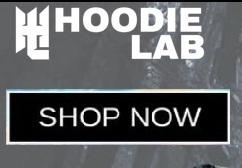 The Hoodie Lab offers 30 days return policy. If you are not happy with your product; you can exchange or return a merchandise within 30 days from the date of purchase. They have thousands of happy customers all around the world. Are you artist or designer who is looking for an additional income? Submit your design and earn 10% commission on every sale. The most interesting; there isn’t any exclusive contract. So you can use same designs with different companies too. The Hoodie Lab basically focus on wild designs and vibrant colors; so making your clothes different from others. The all-over-print hoodies and other apparels are exclusively available at their official site only. If you are artist; then you can generate your own 10% off promo code to sell your graphic merchandise at the Hoodie Lab. I suggest to stack a free shipping promotion with a Hoodie Lab coupon code to get max out of them. You cannot apply a code; once your order is placed. So make sure to redeem a code at the time of placing an order.